The saying 'Good things come in small packages' perfectly describes the Mini Wot4 ARTF. The Wot4 design is well established as one of the worlds favourite RC aircraft and in this 670mm wingspan parkflier format it lives up to the reputation of the Chris Foss name. This lightweight parkflier is perfect for parks or small fields. The Mini Wot4 is a beautifully wooden ARTF with an electronics package ready for you to start assembly. The electronics package includes a brushless motor, a brushless ESC and four micro servos. 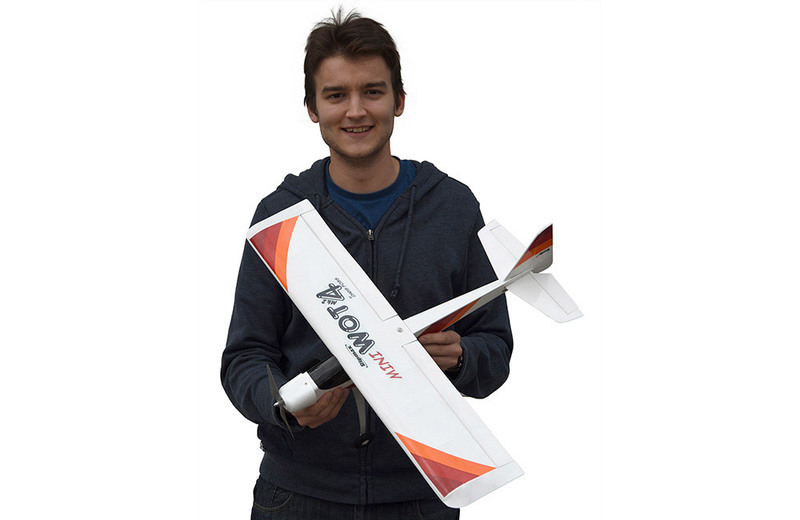 To complete you only need to add a suitable 2S battery and micro receiver to finish the airframe off. The main structure is supplied pre-built from lightweight balsa/ply and covered in iron on film. The kit includes a durable moulded cowling and a comprehensive hardware pack that contains lightweight wheels, aluminium undercarriage, pushrods and horns, together with full colour step-by-step instructions. • A practical size to store fully assembled!